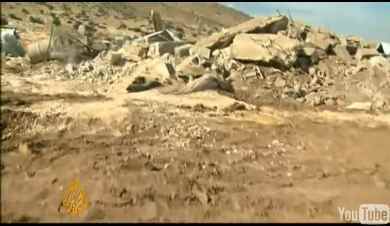 Below is an al Jazeera video of Israel pulling down a mosque in the Jordan Valley village of Khirbat Yarza, Tubas, yesterday morning (deep inside the West Bank). Over 60% of the Jordan Valley in the West Bank is under “Israeli control”, though in practise, all of the Palestinian territories are. But in this case, it means, Palestinians cannot build or repair houses without Israeli permission. In 95%, however, Palestinians do not get permission to build or repair, and in the few cases they do get permission, they have to wait for years. According to the Israeli NGO Bimkom, the Israeli Civil Administration grants only 12 permits a year. Tuesday: a mosque and seven buildings in the Jordan valley and a house that is home to 18 people in Yatta, Southern West Bank. The day before: seven businesses near Hizme, a large family home in the At-Thuri neighborhood of occupied East Jerusalem, a newly built road and a green-house in the Salfit region in the North of the West Bank, six structures in Jiftlik in the Jordan Valley, and the day before that: more buildings in East Jerusalem. 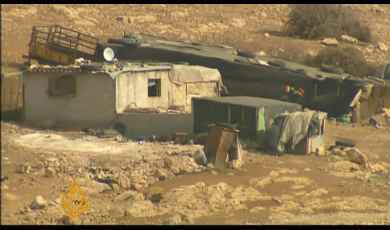 Earlier this week, Israeli demolished the Bedouin village of Arakeeb in the Negev (today’s Israel) for the seventh time since July this year. See Amnesty International condemnation over Bedouin Vilage demolition. Click here to read a statement by Israeli and American Jewish groups condemning the actions of the Israeli government and the JNF, and add your name if you agree. For more info on this week’s wave of demolitions, see Popular Struggle’s Israeli forces demolish mosque as West Bank Demolitions Wave Continues for Second Day in a Row. 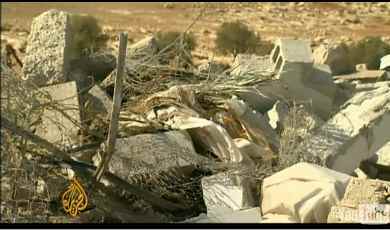 Supporters of Israel should worry less about the construction of mosques in the United States, and more about their destruction in the West Bank, which is a much greater affront to our values.